Arab guide at Berlin's Anne Frank Center compares Arabs in Israel to Jews under Nazi Germany. 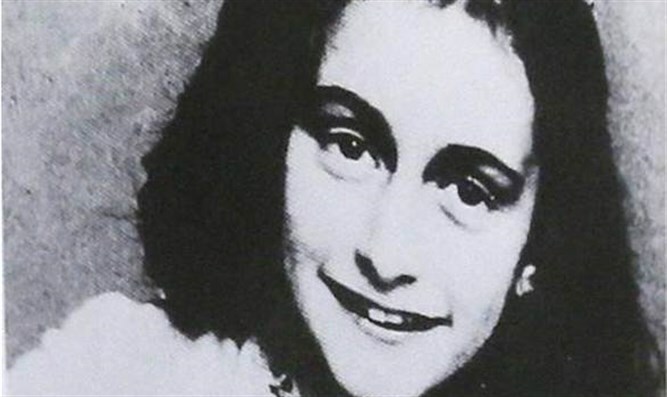 JTA - The Anne Frank Center in Berlin has distanced itself from the statement of a freelance guide who compared Jews suffering at the hands of the Nazis in World War II to Arabs living in Israel today. At issue was a profile of Nesreen Hajjaj, a 24-year-old Berliner of Arab background, in the July 19 online English version of Al Arabiya. Hajjaj is one of 25 freelance guides who introduces visitors to the exhibition at the Anne Frank Zentrum Berlin. Hajjaj told the interviewer that “many things that happened to the Jews during the Nazi rule are happening to the Palestinians now. Jewish people were kicked out of their homes and denied an education. Today Palestinian lands and houses are being conquered,” she told the online publication. She said she had been called an “infidel and a hypocrite” on social media for taking the job with the center. He said his staff would discuss the issue with Hajjaj and others who bring guests through the exhibit in central Berlin, which deals with the history of Anne Frank and the Holocaust, as well as current anti-Semitism and other forms of discrimination. Elke Gryglewski, too, recently had to speak with guides at the House of the Wannsee Conference in Berlin, where she is director of education. The memorial is located in the villa where chief Nazis coordinated plans to exterminate European Jewry in 1942.